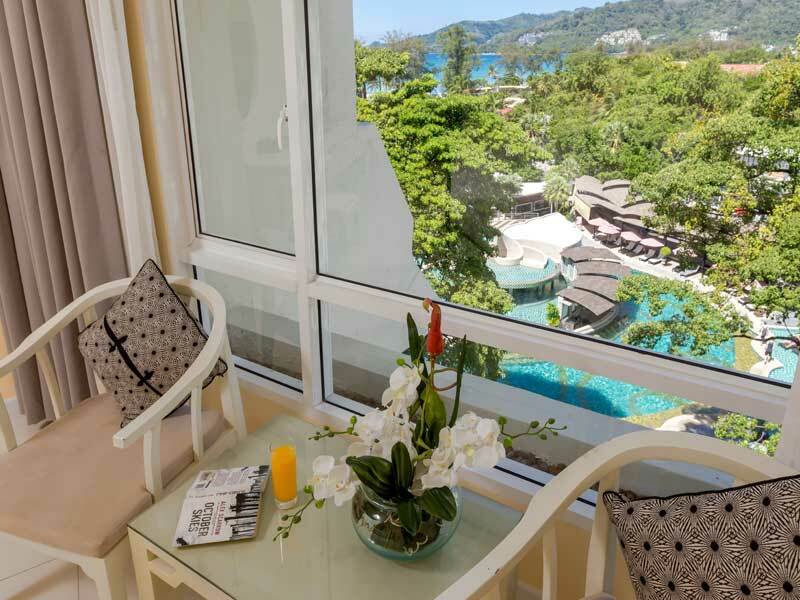 Perched on the beach at beautiful Patong, the Andaman Embrace Patong is a wonderful place to experience everything beachside living in Phuket has to offer. 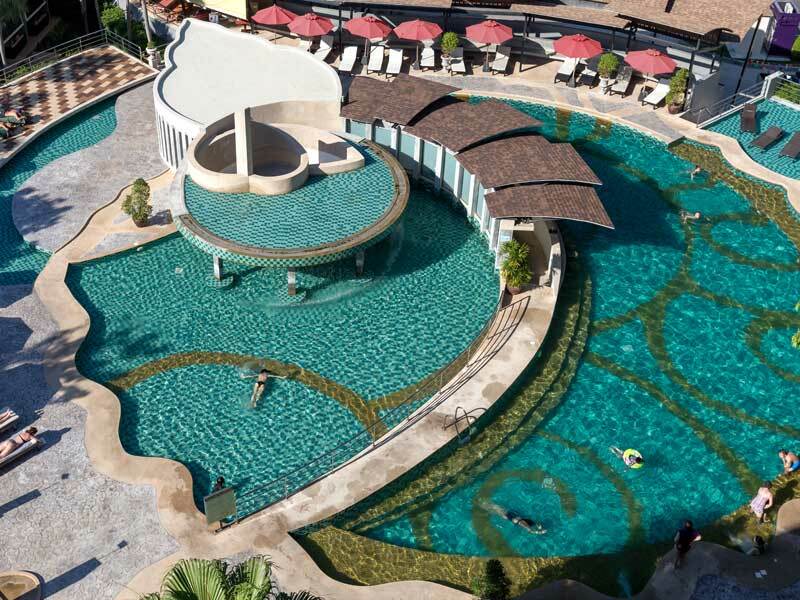 The warm and inviting Phuket weather means you will love spending time by the spectacular outdoor pool that sprawls around the base of the hotel, and the beach will be your sanctuary from the rest of the world. Just minutes away from the shopping and dining in this vibrant centre, you will love everything about your stay here. 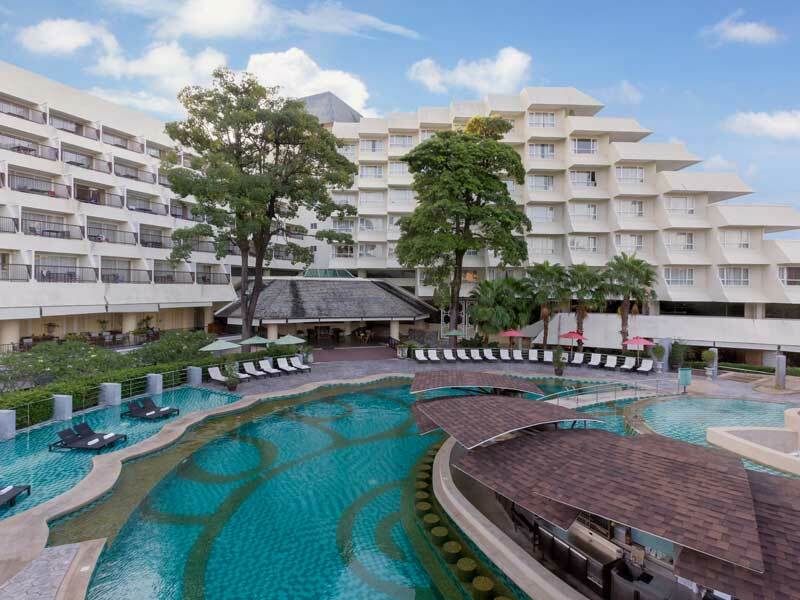 You will find the Andaman Embrace Patong in the heart of Patong Beach City, close to all the restaurants, shopping, nightlife and attractions this famous part of Phuket offers. Just a 1-minute stroll to the incredible white, sandy beach and beautiful blue ocean waters, there is simply no better place to enjoy a Thai getaway. The hotel resort has 222 stylish and modern rooms and bungalows so you will find something suitable for couples, families or groups. The outdoor pool is just fantastic, with plenty of space for lounging in the sun or swimming and is really suitable for both adults and children. Feel the stress slide away when you indulge in a spa treatment from the Embrace Spa, with its gorgeous and relaxing treatment rooms. If you are in the mood for a workout, there is a fitness centre with an elaborate range of equipment and a private jogging track through the gardens, so you don’t have leave the privacy and security of the hotel. If you are looking for an excellent dining experience, Twigs Restaurant has a menu featuring international fusion, so it won’t be hard to find something delicious to suit your taste. 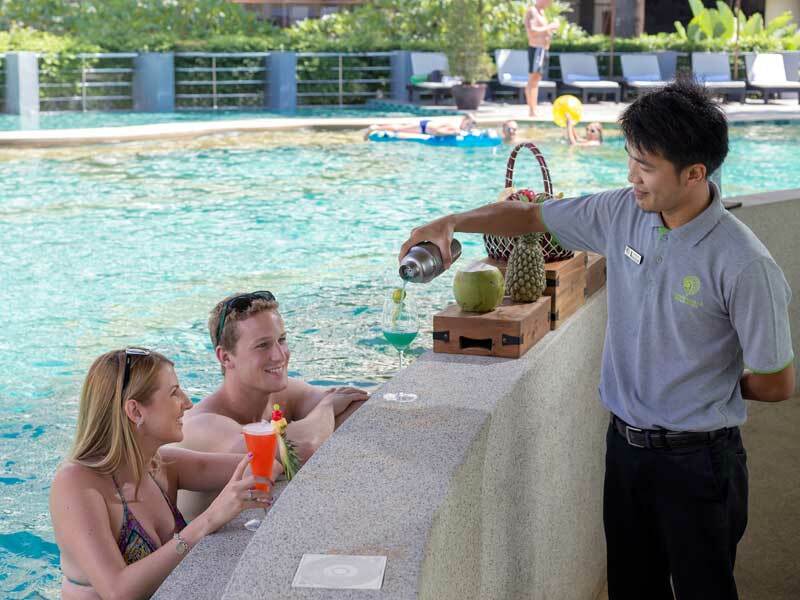 You will also find light meals, snacks and refreshments served at both the Sino Bar and the pool bar for your convenience. Why go to the Andaman Embrace Patong? 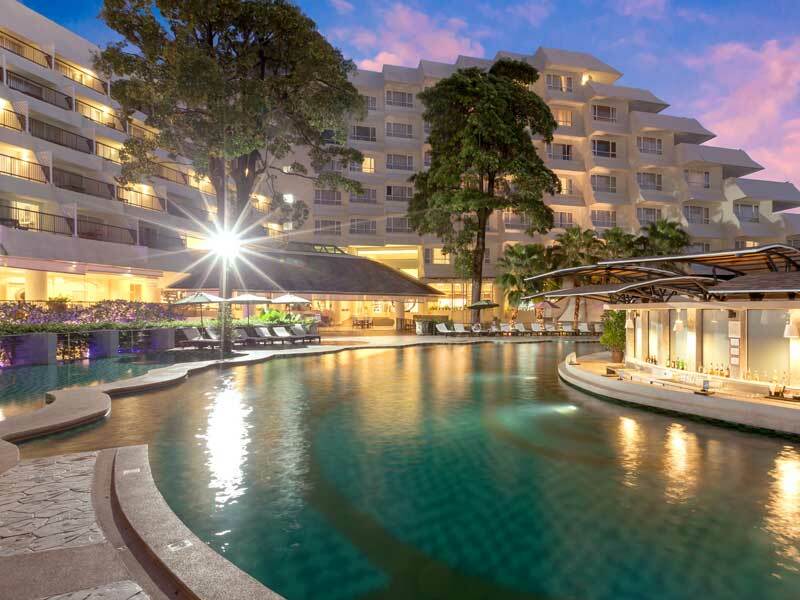 The Andaman Embrace Patong is a modern hotel resort that has been designed to facilitate a wonderful beachside stay for you and your family. Proximity to such a stunning beach is one of the most popular features here, but the hotel resort is also a lovely place to spend time. 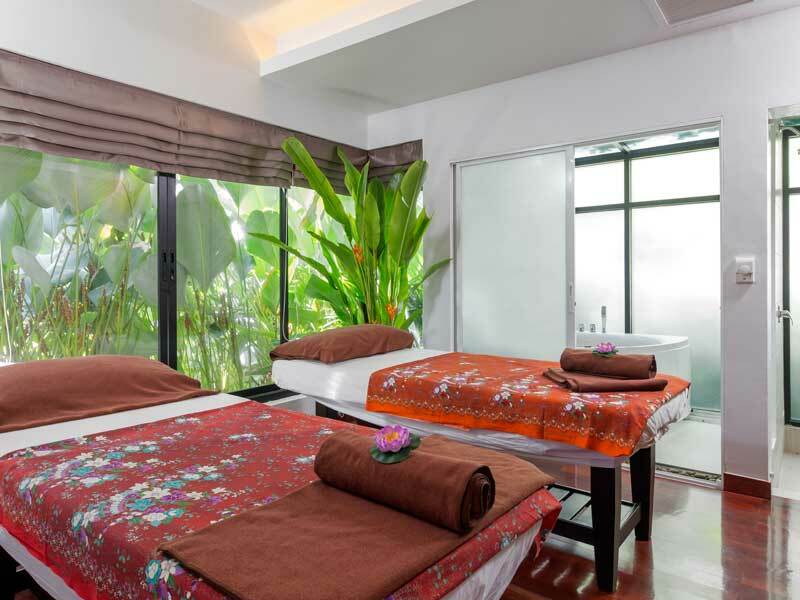 Overall, you will find this this is an luxurious destination for your next Phuket getaway. If this sounds like your perfect holiday to Thailand, give us a call now on 1300 000 753! Your room has a lovely soft finish with a modern colour palette designed to remind you of the beach just outside your door and has 35sq. metres of space. The room comes with Twin-bedding. You’ll have a pleasant view out over the gardens or across the large outdoor pool. The room is air-conditioned and has a TV with satellite channels, an in-room safe for your valuables and tea and coffee making facilities. 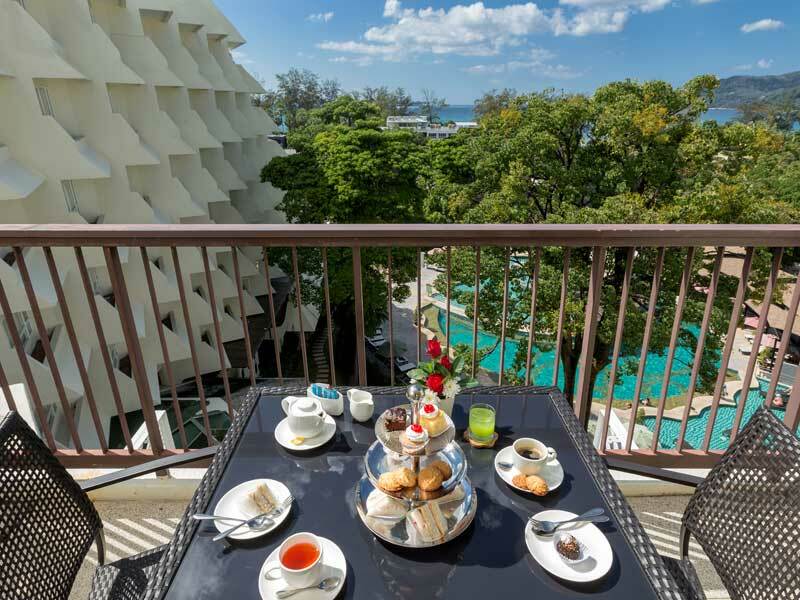 You can sit back and enjoy the warm Phuket weather from your private balcony with a view over the spectacular pool. When it’s time to escape the tropical warmth, bask in your oasis indoors with your climate-controlled air-conditioning. Your room is 38sq. metres which means that 2 adults and 1 child will enjoy this room in comfort. You will have a TV with satellite channels, a DVD player and a safe to use for additional security. 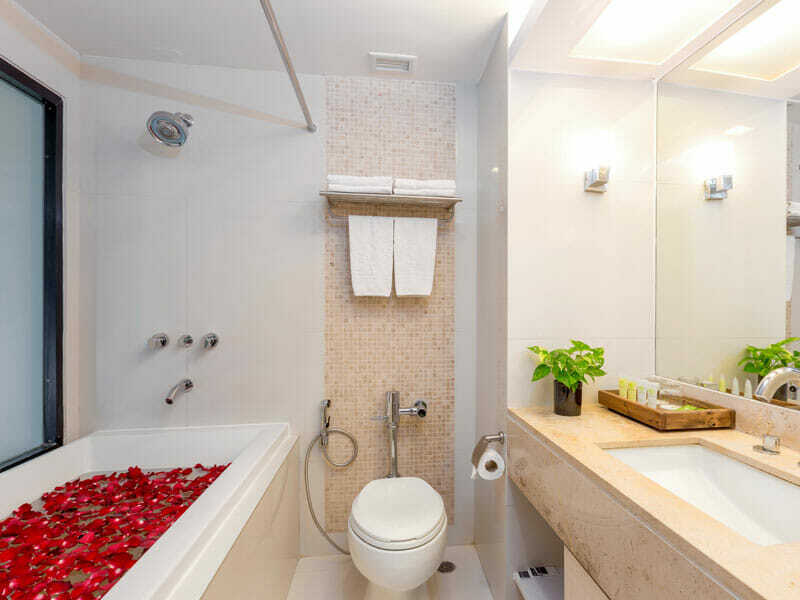 There is an en-suite bathroom with a bathtub for your enjoyment and the room comes with tea and coffee making facilities. 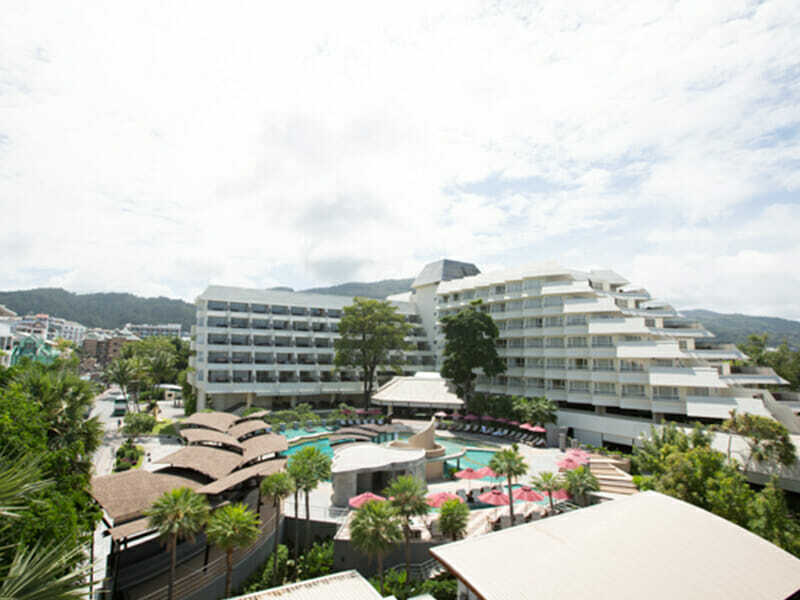 You will simply love being this close to the glorious Patong beach. 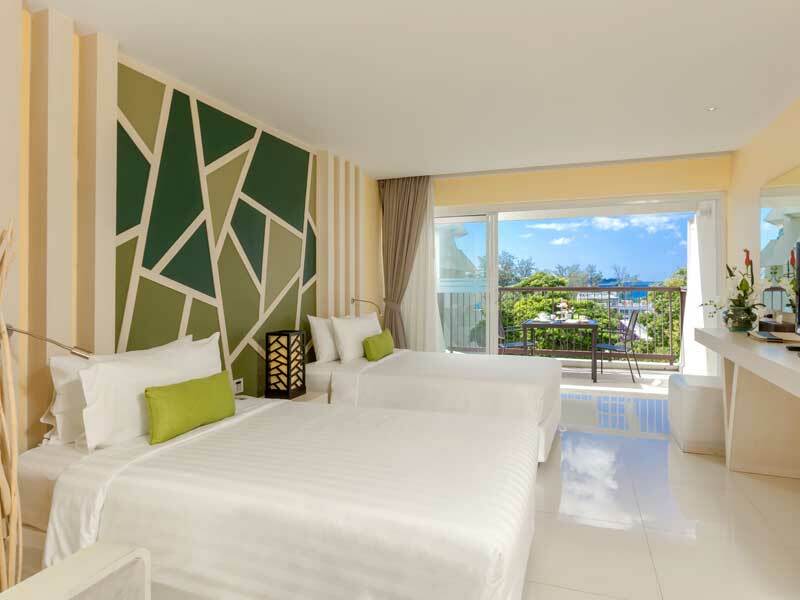 The hotel is no more than a 1-minute walk from the white, sandy beach and everything else you would want in Patong Beach, including restaurants and cafes, shops and nightlife. Patong is a thriving centre of activity on the south-western coast of Phuket and is 1 of the most popular destinations on the island. It’s a 45-minute drive from the international airport and is a great base if you want to explore attractions found in other parts of Phuket. Before you even step foot outside the Andaman Embrace Patong, you will have a great range of things to do. Enjoy the on-site dining experiences, spend time relaxing around the pool or indulge at the Embrace Spa – there is something to suit everyone. When you do go out, you have famous Patong Beach City around you to explore and enjoy. Start at the magnificent beach, where you can snorkel, swim, parasail, kayak and windsurf and more. You can also visit local markets which stock authentic Thai ingredients, souvenirs and other quirky pieces made by skilled craftsmen from the region. If you’re looking for excitement, Patong has a great nightlife, especially along Bangla Road. Here, you’ll stumble across many vibrant bars, street performers, live music, street stalls and nightclubs. You will find so much to do in Patong, but if you want to explore other attractions in Phuket, Patong is a brilliant base from where you can venture across to other parts of the island. My wife and I go to Thailand every year and have been staying here for the past 6 years and now won’t stay anywhere else. After trying a few other hotels there really is no compromise. The staff are fantastic, the pool bar is the best around and the rooms are always clean and inviting. The location is perfect with nice beaches and great restaurants within walking distance. Can’t rate Andaman Embrace highly enough!